Frank Merrifield was born in 1893 in Melbury Abbas, Dorset. He was the son of James Merrifield, a carter, and Albertina Elizabeth Merrifield (née Stone). At the time of the 1911 Census he was working as a carter and living at Twyford, Shaftesbury. On 14th September 1914 he enlisted at Shaftesbury as a Private in the Dorsetshire Regiment (Service No. 201098). He joined the 4th Battalion and served in India from 13th December 1914 to 24th September 1917. He returned to the UK and on 22nd December 1917 was discharged on the grounds that he was "no longer physically fit for war service". He had been diagnosed with Tuberculosis which was considered not the result of, but aggravated by, active service and he was granted a pension. On 14th May 1918 he married Beatrice Davidge in Ashmore. 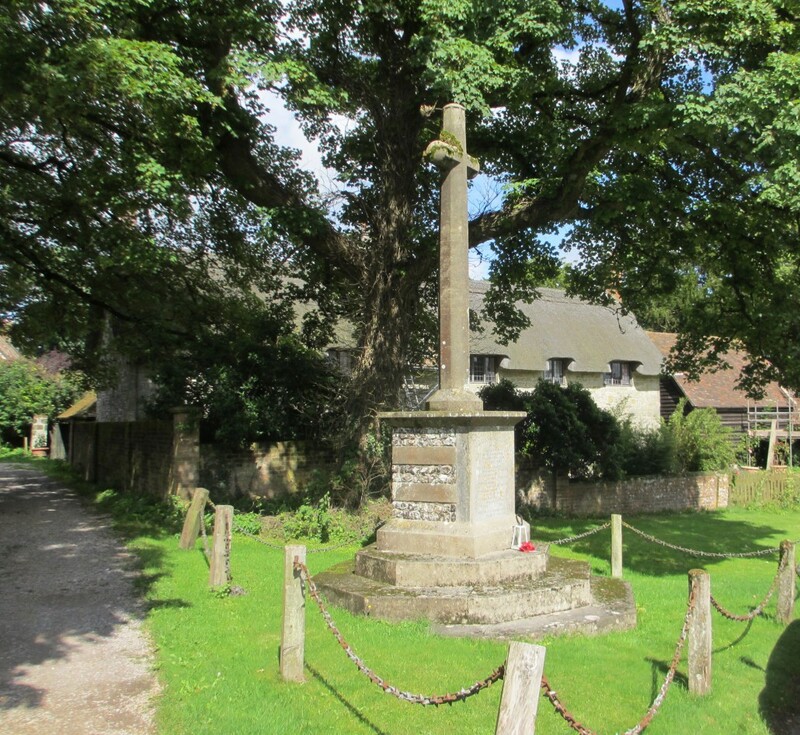 Frank died there on 25th February 1919 and was buried in the churchyard at St. Nicholas' Church. A few days later, on 3rd March 1919, his son James F. Merrifield was born. Sadly the boy died at the age of three. By the time of the 1939 Register Beatrice was living in Exeter and had not remarried. 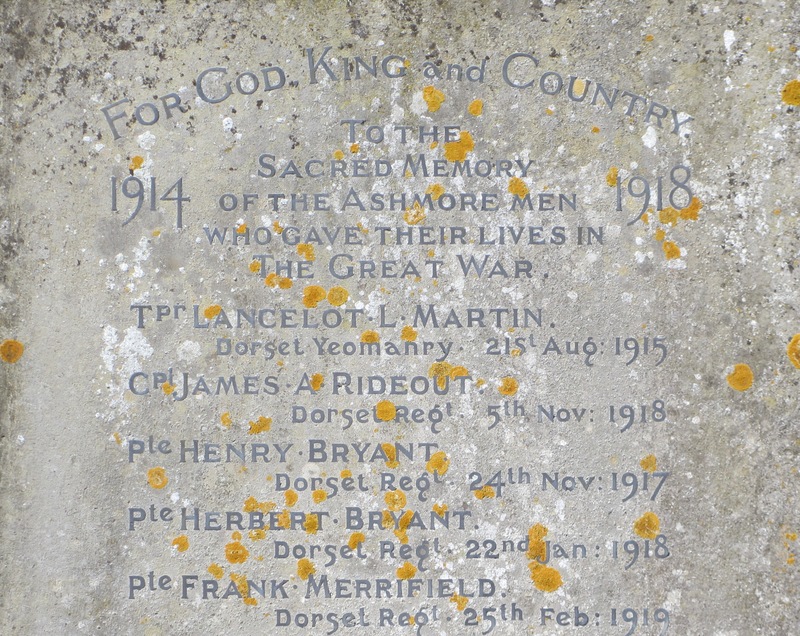 Frank was awarded the British War medal and is remembered on the Ashmore War Memorial, Shaftesbury.